If you’re looking to become a copywriter or you would like to improve your existing skills, there are plenty of copywriting training courses now available both on and offline. Considering you’re likely to be investing a substantial amount of money in your training, you should take your time and ensure you select the right course for your goals. 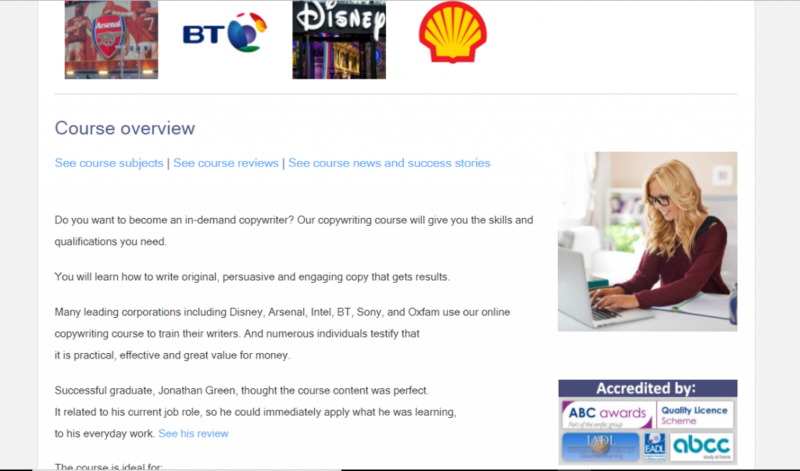 Why should you complete a copywriter training course? Although completing a copywriting course is not always essential, you may find the expertise shared by qualified professionals will provide you with valuable training and resources that you can refer back to throughout your career. It doesn’t matter whether you are a complete novice or you already have some copywriting experience, understanding the basic and fundamental concepts is important for effective writing and successful copy. You wouldn’t drive a car without a licence (at least we hope not), so you shouldn’t write copy without the correct guidance and tools from some of the leading experts in the field. While there is no substitute for experience, a copywriter training programme can be really beneficial in other ways. What will you learn from a copywriting course? Available online using 10 video seminars and a 300-page manual, the Breakthrough Copywriting course was created by Andy Maslen, who has written copy for clients including Prudential, The Economist, World Vision, and Christies. 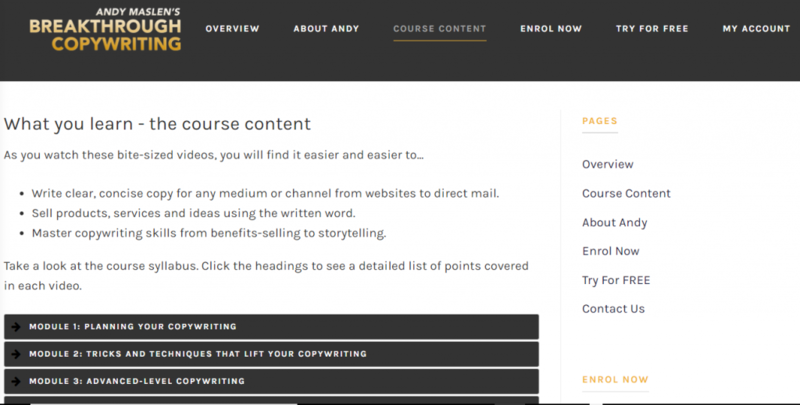 Andy is also the mastermind behind ‘Write to Sell, Persuasive Copywriting’ and three other copywriting books. The 10 video seminars last around 26 minutes on average – 5.5 hours in total. As well as a bonus video, there are 33 practical exercises to do with model answers available on the Academy website. Course content includes everything from planning, headlines, briefs, and structuring to tone of voice, grammar, punctuation, editing, proofing and insider tips and tricks. Andy also says this course will explain the fundamentals of writing to persuade, influence and sell. Confident Copywriting is perfect for beginners looking to develop a tone of voice and for those who would like to review, edit and improve their own writing skills. A six-week programme, Confident Copywriting will cover the basics of writing copy and will provide you with tips and tricks for coming up with new ideas. The course will be taught over University of the Arts London’s online platform and each session will last between one and two hours. Homework assignments may be set and attendees will be expected to tackle briefs and take part in writing exercises. By the end of the course, you should be able to write better and faster, answer a real-life brief with confidence, and boost the power of persuasion in your writing. 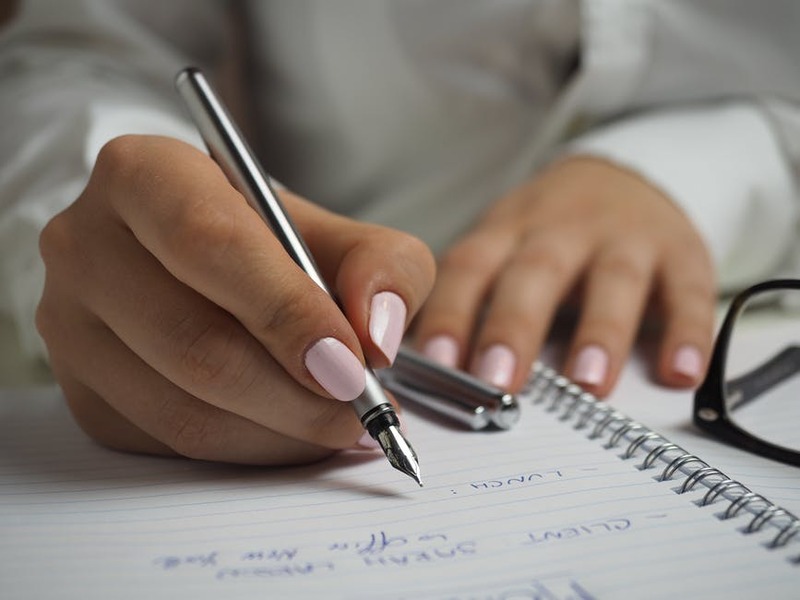 Suitable for beginners and those who wish to refresh their existing skills, the Copywriting Level 4 Diploma teaches you how to present professional copy, conduct effective research and comply with any relevant codes of practice. This course is completely flexible, which means you can fit it around your lifestyle or other studies. The course tutor is Justine Holman, who will mentor and guide you through assignments. Justine has a wealth of experience and has written for many large publications, including The Express, Elle, Women’s Weekly and TV Times. IDM offer a vast range of copywriting courses, and each one aims to help you deliver copy that engages, attracts and prompts action from your audience. There are training programmes for digital, not-for-profit, social media, blogs, web and email copywriting, as well as a copywriting masterclass. However, their Copywriting: an Introduction course offers hands-on practice and will ensure you understand the principles and theory behind responsive copywriting. Note: this course is taught in Central London and is not available online. The Diploma in Copywriting is a quick start guide and provides training using 35 videos and 63,000 words of how-to text. There are also 11 assignments to complete which are marked by an experienced tutor. On top of this, there are 61 self-assessment exercises you can complete that’ll help you tackle each type and style of copywriting. The course is typically completed in five months, but you can do it as slowly or quickly as you like. The Diploma in Copywriting is also endorsed by the ABC Awards’ Quality Licence Scheme. This means it has faced an external quality check to guarantee quality is consistently met. This particular diploma has been benchmarked at the Level 4 Award. 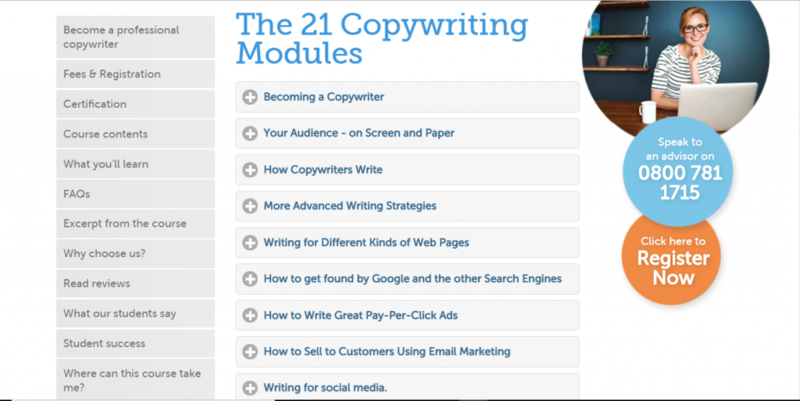 The Accelerated Program for Six-Figure Copywriting by AWAI was described by Copyblogger as a comprehensive course and a down-to-earth guide to professional copywriting. Also known as Michael Masterton’s course, Michael is one of the most successful copywriters ever and he’s the real reason everyone heads to AWAI for their training. But the course’s biggest selling point is how straightforward it is. Offering a step-by-step blueprint, it is unbelievably clear to follow and will provide you with a strong understanding of how the copywriting business works. The AWAI course is great for those who don’t want to be restricted by a time limit. You can complete The Accelerated Program for Six-Figure Copywriting at your own pace. Some trainees complete the course in six weeks, while others take up to a year – it really is up to you. What’s next after copywriter training? If you decide to complete a copywriter training course, the next move would be to gain more experience in the field. With Copify you can access an array of paid copywriting jobs and you’ll gain the confidence you need to launch your new career. Note: All prices are correct at the time of publishing.